Just noticed Otago University have been working on a NZ wide aid to residents, and I also think it could be looked at as another “helper” in the mix for folk considering their options about living in certain areas. A searchable online map showing where in New Zealand cyclists have been injured as a result of car doors opening has been created by University of Otago injury prevention researchers. Currently the map shows approximately 245 cycle door injury location over this 2007-11 period and indicates their seriousness and the direction the cyclist was traveling. And because its an overlay that rests on-top of Google Maps, its a breeze to use and visualise. Great idea, and again, shows the advantages that the web can offer up each and every day. This entry was posted in Buyers, General, Nelson, New Zealand, Stats / Sales Data, Technology and tagged Augmented, Buyers, buying, cycling, mapping, NZ, stats, walkscore on February 8, 2013 by David Leggott. 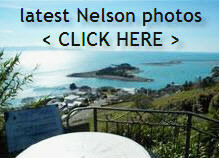 …..the famous annual trolley derby, and photographing much local scenery around Nelson. Well am happy to say the official preview trailer is out, and you can watch it above. Nelson to the world…. This entry was posted in Buyers, General, Humour, Nelson, New Zealand, photography and tagged coastline, cycling, Nelson, recreation, Stoke on May 24, 2012 by David Leggott.